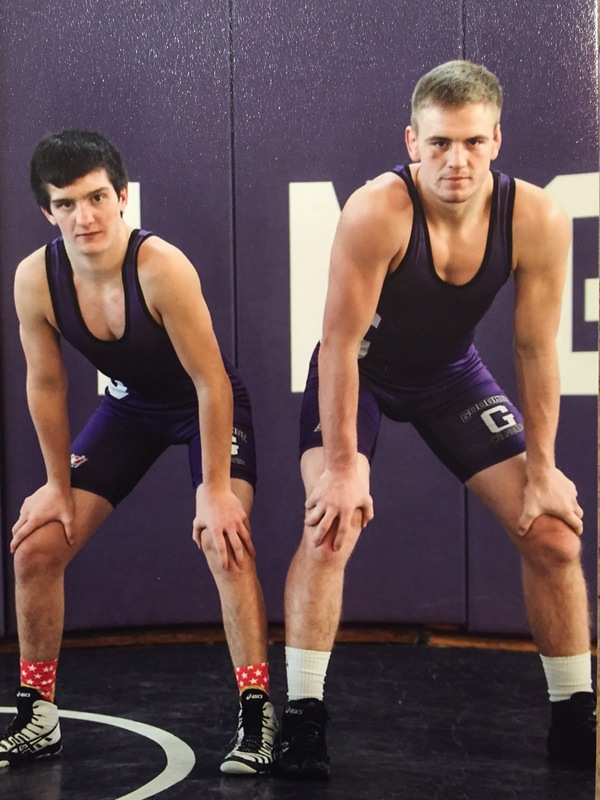 We have two senior wrestlers in our 2017 season. Amazingly, both managed to earn $1,000 Scholarship Awards from the Minnesota Wrestling Coaches Association (MWCA). 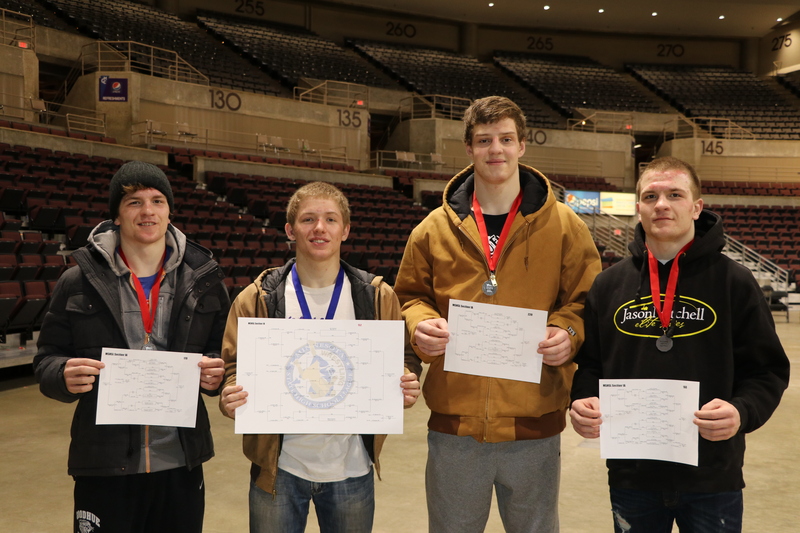 Only 6 scholarships were available to all state senior wrestlers who are college-bound. Here is a link to the announcement and biographies of the 2017 MWCA Scholarship Recipients. Congratulations John and Bailee! We are so proud to see all of your effort on the mat and in the classroom pay off! The Quarter Final round at state Friday night once again brought mixed results. Bailee’s opponent lost his quarter match 4-3 which unfortunately bumped Bailee out of the tournament. 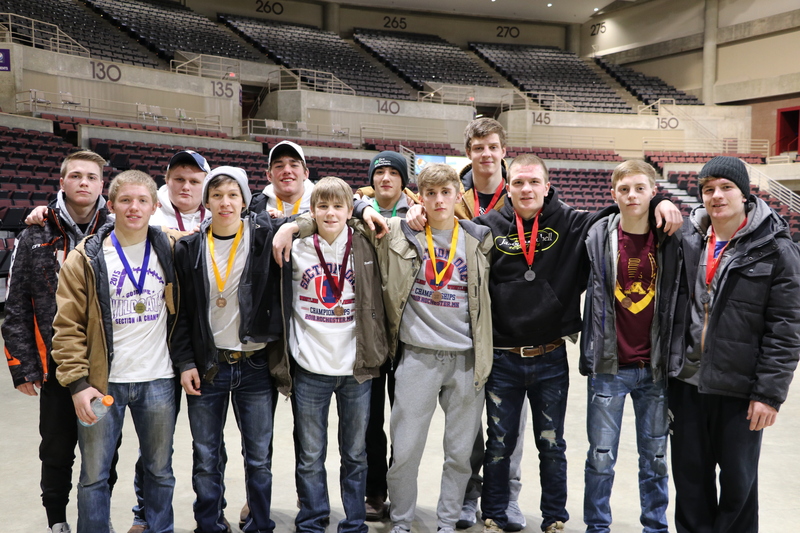 Joel wrestled a 2x state champ Austin Anderly of LeSueur-Henderson very competitively, frustrating him to the end. Down 5-3 with a minute left, Joel attacked to score but Anderly countered well and Joel ultimately fell 9-4. Joel’s loss dropped him to the consolation bracket. In the late wrestle back session, Joel put lots of points on the board against his opponent, Hunter Sumner of Mille Lacs. Up 9-2, Joel got into a scramble that led to him sitting in a leg ride. Naturally a leg riding machine, Joel settled into a guillotine, and crisply transitioned into a headlock to get the fall in the third period. In the consolation quarter final round, Joel needed to win to be a medalist. His opponent was Byron Byer, a senior from Frazee, and a common opponent. Byer defeated Joel in his first state match two years ago. With revenge in mind, Joel emerged victorious with a 3-1 decision. Joel Gadient is going to be on the podium tonight! Joel wrestles next at approximately 1:00 p.m. in the consolation semifinals. Depending on the outcome, Joel will wrestle for either 3rd or 5th place in the 4:30 3rd/5th place round. Championship finals are slated for a 7:00 start. 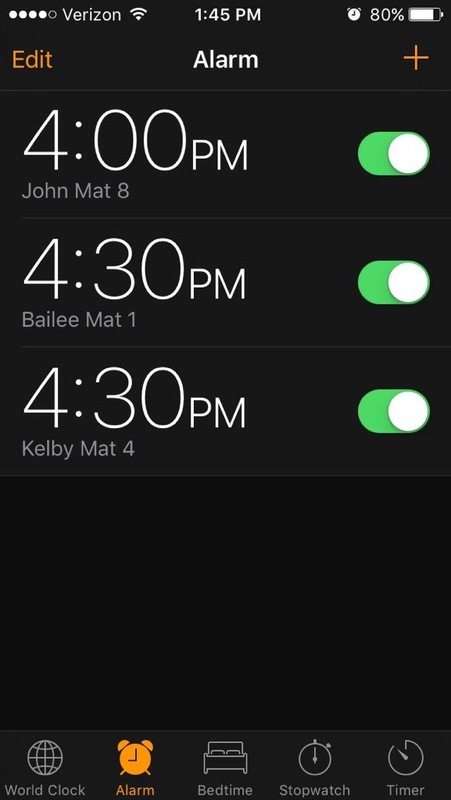 The first round of the 2015 State Wrestling Tournament opened up with mixed results for Goodhue wrestlers Joel Gadient and Bailee O’Reilly. Joel, wrestling at 126, fell behind NHREG’s Cordell Peterson early in the first and continued to trail into the third period. Down 7-5 with about 30-40 seconds left, Joel went feet to back for 5 to finish with a 10-7 win to advance into the Quarter Finals. At 5:30, the quarters will start and Joel will face 2x State Champ Austin Anderly. 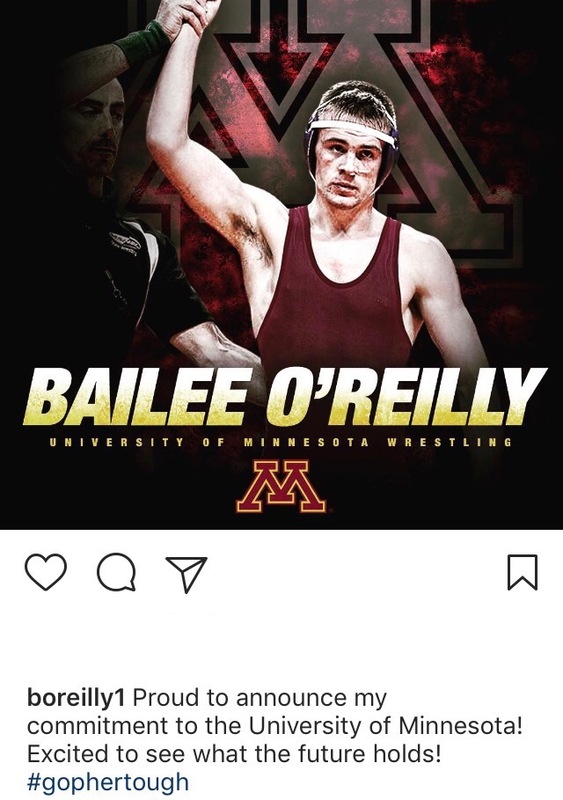 Bailee O’Reilly, wrestling at 152, wrestled a scoreless first period. Down 1-0 in the third, he gave up two take downs while in on his own shots to fall 5-1. He will need his opponent to win tonight to in the quarters to have a chance to wrestle in consolation tonight.